Bridge traffic will be one lane only. 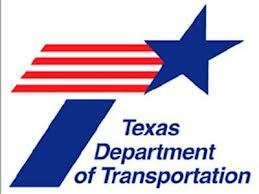 PARIS – Texas Department of Transportation officials today announced that work on Pine Creek Bridge on FM 2648 in Lamar County would begin Tuesday (Apr 9). Signs to alert the traveling public will be along this roadway. The contractor will upgrade the existing bridge rail to current standards, officials said. This work will require reducing traffic across the bridge to one lane only. Portable traffic signals will direct bridge traffic, day and night. The contractor anticipates completing this work in the next few weeks, weather permitting. This work is part of a project to widen and rehabilitate FM 2648. That project was announced in August 2018 and should be complete in 2019. Motorists who frequently travel near Pine Creek Bridge on FM 2648 are asked to pay special attention to all signs, barricades and traffic controls, and reduce their speed as they approach and travel cautiously through work zones. They should also avoid distractions such as cell phones, eating, drinking, or car audio or navigation systems.